Dozens of websites are created every minute which leads to massive competition no matter the niche you are in. In order to stand out you need to find a unique, creative, and eye-catching theme. Artists and creative individuals are having a harder time finding the right WordPress theme for them because it needs to match their style and vision, while also being versatile and flexible enough to allow customization. This list contains some of the best creative WordPress themes which fit that bill. Alona is a fully responsive, clean, attractive, and minimal creative WordPress theme. Alona is highly customizable and incredibly flexible capable of fitting any type of portfolio website. Alona comes with a wide range of features such as 4 types of portfolio layout, clean icon set, advanced custom fields, translation ready, over 600 Google fonts, and gallery post slider. Alona is crafted to perform well on mobile devices and reach a wider audience. 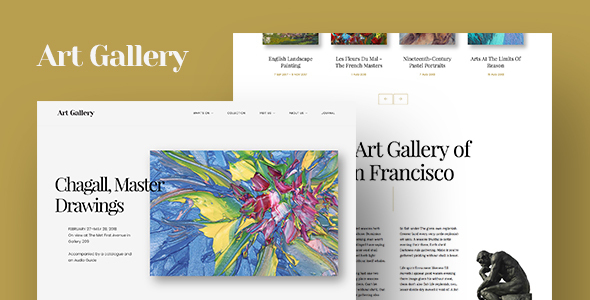 Arte is a beautiful, appealing, robust, new, and modern premium WordPress theme. It is designed for artists all over the world and built with features focused on making their lives easier. Visual Composer, Slider Revolution, and Events Schedule are the premium plugins that come bundled with this theme. Additionally, Arte also includes the demo content, unlimited colors, an extended documentation, class management system, social sharing integration, and SEO optimized code. Impress your visitors with this stunning theme. 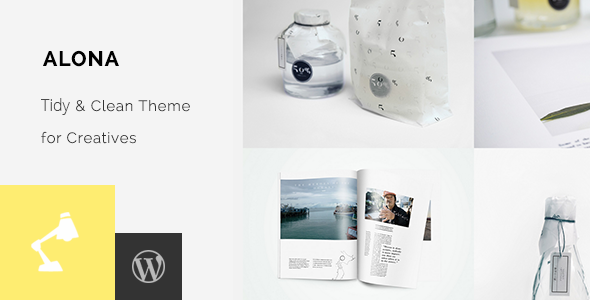 Air is a minimal, stunning, useful, and highly customizable creative WordPress theme. This theme will improve your website design-wise and you will also benefit from impressive customizations and features. You can change the portfolio layout easily, alter the project section, and customize the footer and header. It comes integrated with a page builder and the demo content both which save you time in development. Air currently stands proudly with a full 5 star rating. 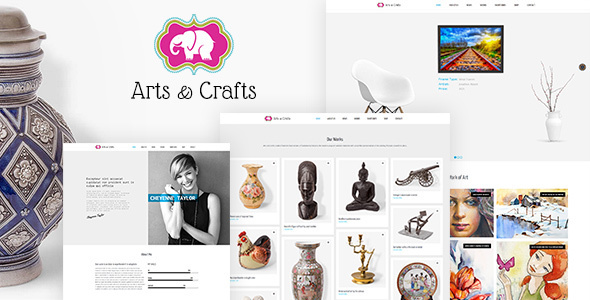 Crafts & Arts is a quality WordPress theme that promises to maximize your website’s design, functionality, and reach. It’s easier to attract new visitors and keep the old ones entertained when you have a unique style that shows on your site as well. The installation and setup of Crafts & Arts is intuitive and easy; in a couple of minutes you have a complete website thanks to the one-click demo importer. You can choose from 4 unique prebuilt homepage demos and multiple inner page layouts. If you are not satisfied with the existing ones, you can build them yourself with the help of Visual Composer. Click below to see the live demo! 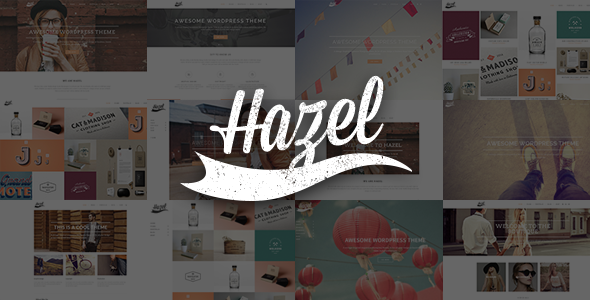 Hazel is an amazing, creative, responsive, multi-concept WordPress theme. If you wish to create an eye-catching websites then this theme is the best platform for you. To get you started, Hazel offers more than 30 uniquely designed homepage demos you can choose from. This theme gives you full creative control over it with tools and features like parallax video slider, unlimited header layouts, unlimited title area styles, customizable footer, interactive info-graphics, Ajax page transitions, and customizable mega menu just to name a few. With Hazel you can create a successful and memorable website. Artistas is a fresh, youthful, up to date, professional, and complete WordPress theme for artists. It is 100% responsive and will adapt beautifully to any devices and screen resolution. Artistas is packed with amazing features among which are drag and drop layout creator, master posts, Google fonts, and an extended menu. This theme is fully compatible with WooCommerce and a bunch of other popular plugins. Whatever your vision, Artistas is ready for you! 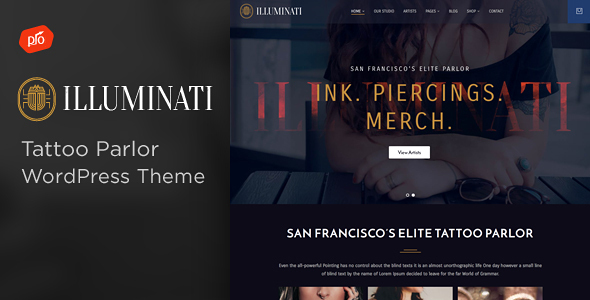 Illuminati is a premium multipurpose WordPress theme with a very creative and unique design. This theme is highly customizable, intuitive, and will captivate your users preventing them from losing interest. Illuminati comes with a very easy to user page builder, which will help you create beautiful page layout without having to write a line of code. You can also get the website done in a couple of minutes if you choose to import the demo content. The theme’s live customizer is intuitive, fast, and feature rich. Illuminati displays perfectly on all browsers, platforms, and devices. FatMoon is a perfect choice for those who are looking for a unique and modern style. It will bring something more to your website and improve the aesthetics considerably. The theme’s layout is intuitive, user friendly, and will surely impress your visitors. FatMoon includes amazing features such as over 40 unique pre-designed demos, photo proofing, 15 header designs, maintenance mode and coming soon pages, a couple of premium plugins for free, a media manager, and pricing tables. If you are looking to have a positive impact on your visitors, then try FatMoon! 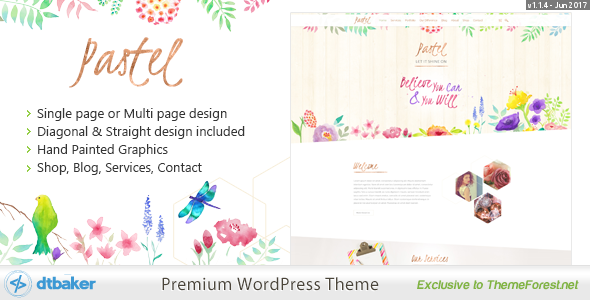 Bejouette is a powerful, diverse, easy to use, beautiful, and responsive WordPress theme. This premium theme is speedy, modernly developed, and overall a perfect solution for creative individuals that are looking for showcase their work. Personalizing this theme is easier than before thanks to the theme’s intuitive admin panel and useful features. 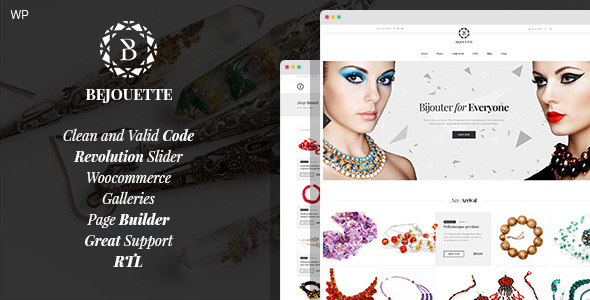 Bejouette includes the powerful Slider Revolution, a page builder, parallax sections, custom widgets, supports WooCommerce, and custom backgrounds. Bejouette plays nicely with popular plugins, browsers, and all devices. 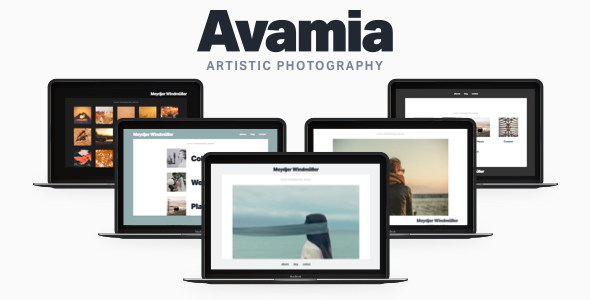 Avamia is an innovative, profession, impressive, creative, artistic photography WordPress theme. This theme is able to captivate your visitors and keep the engaged through the eye-catching design and intuitive functionality. Websites that use Avamia will benefit from a unique and modern design, photo image protection, exclusive gallery navigation, multiple menu locations, setup wizards, cool animations, and an advanced theme options panel. No matter what you are trying to achieve, this theme will have your back. Ink Pro is an eye-catching, up to date, robust, fresh, responsive WordPress theme. Its design and layout are fully responsive and perfectly compatible with all popular browsers. Ink Pro includes an advanced video and image slider, a child-theme, beautiful galleries, multiple Google fonts, unlimited color panel, over 500 icons, social media feature, and an integrated page builder. Thanks to the theme’s customizing panel and page builder you can create beautiful layouts no matter how grand. Dominate the web with Ink Pro! 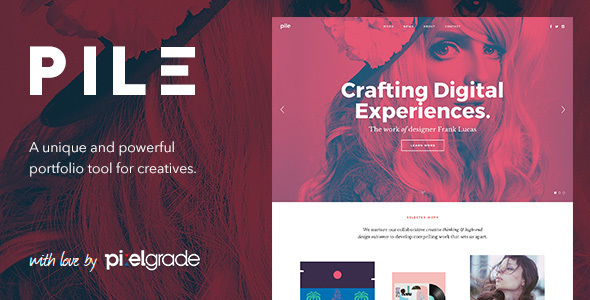 Inside is a visually stunning, stylish, expressive, and user friendly creative WordPress theme. It is innovative, very well structured, and highly customizable. Inside has been developed with efficiency and attention to details in mind. You can easily customize it through its theme admin panel and make it your own. It comes with a modular homepage you can change anytime, as well as unlimited color options, different layouts, full screen sliders, portfolio sections, several post formats, and many other tools and features. Try Inside today and start building a successful and beautiful website. 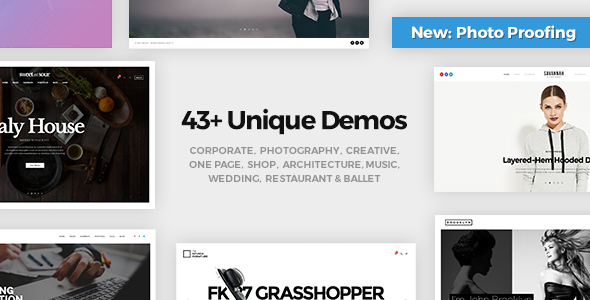 Inkd is a modern, vibrant, eye-catching, clean creative WordPress theme. This theme is highly customizable and resourceful while also being beautifully designed and aesthetically pleasing. Inkd’s design and functionality lets you play with the page design through a page builder, custom post types, Google fonts, booking form, calendar design, just to mention a few. This theme represents a complete solution for any webmaster no matter its level of skill. Deliver a stunning and stylish website with Inkd! Koncept is a beautiful, diverse, versatile, modern, and clean responsive WordPress website theme. It is developed to satisfy the needs of creative individuals in a modern and professional way. Koncept’s design is clean and minimalist and you can play with it through the theme’s admin panel. Koncept has a bunch of impressive theme features from a stunning portfolio layout and WooCommerce integration to flexible column grids and several navigation styles. Koncept will look great on all devices and browsers not matter the screen size. Try it today! 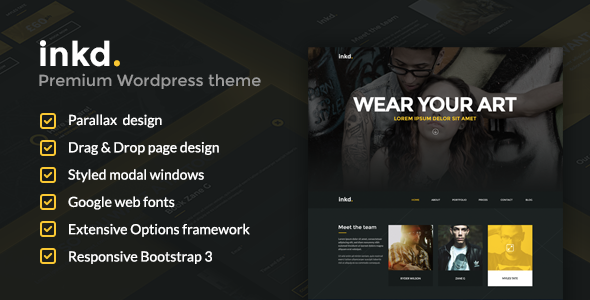 Lorem is a beautiful, attention grabbing premium theme. Its unique and simple design will help you showcase your portfolio better and focus on your art. Packing 9 pre-made homepages, Visual Composer, Slider Revolution, RTL support, popular icon sets, and a great theme customizer, Lorem is truly a great platform for creative people. With this theme you will be able to tailor every design element to your needs and vision. 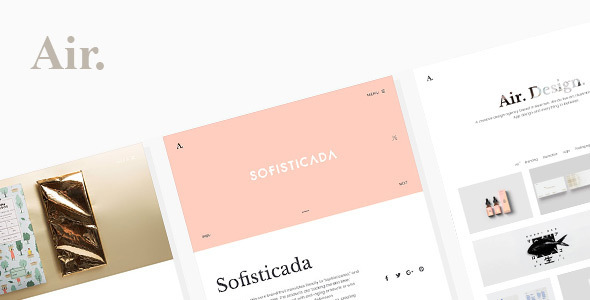 For those on the look for a beautiful, professional, and stylish theme, Luisa is the perfect choice. This theme is extremely versatile due to its design and functionality. Luisa contains a simple and intuitive navigation, one click demo installer, video support, and a powerful theme customizer. No matter the devices or platform used, visitors will be able to enjoy this theme the same way. Pastel Floral is a warm, minimal, stylish, colorful premium WordPress theme. It serves as a great platform for artists to showcase their work in a unique way. Pastel Floral comes with multiple layout options, a 5 minute demo install, a powerful page builder, and amazing support and documentation. You can tell from the beginning that Pastel Floral was designed to simplify a developer’s work no matter its previous knowledge. Try out this unique premium theme! Photography is one of the best photography themes out there because of its incredible, attractive, and responsive design. Photography was designed to be the best platform dedicated to professional photographers. With dozens of uniquely designed homepage demos and even more pre-built page templates, Photography is a great solution for time sensitive scenarios. This theme also offers photo proofing, an extensive documentation, multiple post formats, smart photo protection, password protected pages, social sharing integration, matching colors to photos, and another myriad of unique features. Show the world your talent with Photography! Red Art is an awesome, powerful, impressive, overall top-notch premium WordPress theme built to exceed expectations. It is fully responsive and cross browser compatible maximizing exposure and access to your content. You can easily adjust the theme to fit your needs through its potent theme option panel. 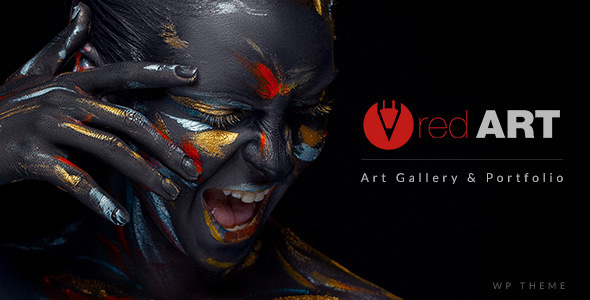 In addition, Red Art comes with a few powerful tools such as 6 demos included, dark & light skins, various header variations, Revolution Slider, Visual Composer, and tons of useful shortcodes. Try it today! 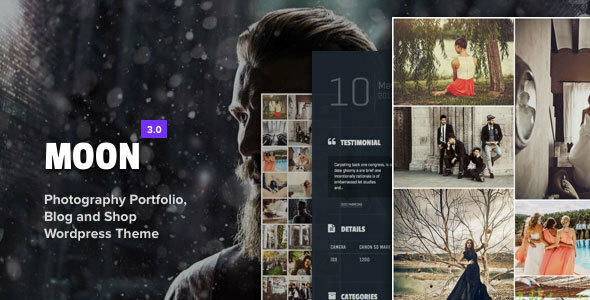 Pile is a gorgeous, stylish, top-notch, user-friendly, premium WordPress theme. Developed by a power elite author, Pile manages to instantly grab anyone’s attention. The theme’s advanced features and tools will simplify your work tremendously and you will be able to craft a unique and modern website in a few hours. Pile knows the importance of useful features so it comes with a smart layout builder, unique portfolio grid, and much more. Enhance your style with Pile! 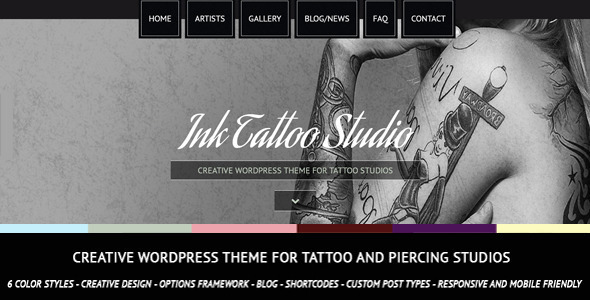 Tattoo is an awesome, intuitive, flexible, responsive, clean, and user-friendly WordPress theme. It is perfectly suited for different artists and artistic styles, as well as tattoo shops, tattoo artists, and more. Tattoo will help you hit the ground running with its one click demo installer. It also saves you over $150 in premium plugins. Tattoo was crafted for artists and you can tell this from its amazing features such as custom icons, front-end page builder, live customizer, video tutorials, niche specific design elements, and SEO optimization. Let the world see your art with Tattoo! The Curator is a beautiful, unique, and artistic theme built to help artists share their stories and art. Its unique design will bring even more beauty to your website and enhance furthermore your work. The Curator is the perfect solution for artists, galleries, and museums that are looking to extend to the online world and reach a larger audience. This theme comes with touch gesture support, a powerful theme customizer, overflow text scroll effect, unlimited colors, parallax effect, potent post slider, and much more. The Curator is a must have! 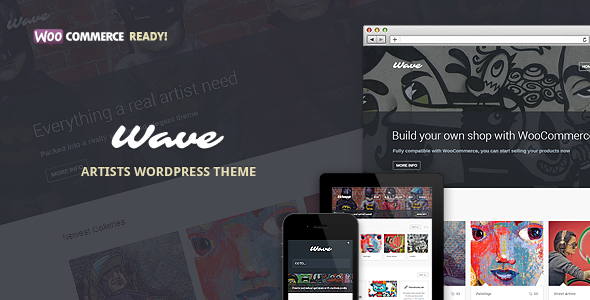 If you are looking for a beautiful, multipurpose, artistic WordPress theme then check out Wave. This creative premium theme will enhance the overall look of the website while also keeping it engaging and user friendly. Once you install Wave you will notice how intuitive and easy to use it truly is. The theme’s layout is fully responsive, and has a modular homepage. It is compatible with WooCommerce and other major plugins. The team behind Wave is extremely friendly and encourages clients to reach out to them when encountering issues. 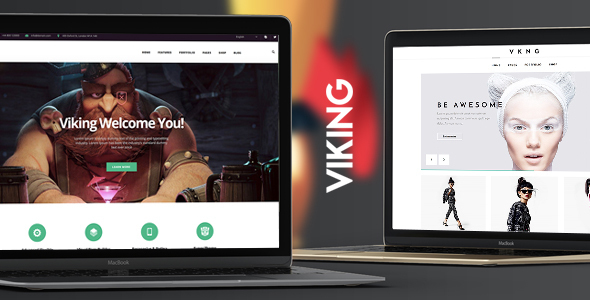 Viking is a multipurpose, creative, stylish, highly responsive, and retina-ready WordPress theme perfect for any type of website. With this theme you can create any type of layout you imagine because it comes with the potent premium plugin Visual Composer. With Viking you can change the page layouts, header styles, generate different custom sections, change the fonts and colors, translate the theme, and much more. Besides these impressive features, Viking also presents a completely responsive layout fitting all device screens and browsers without omitting anything. 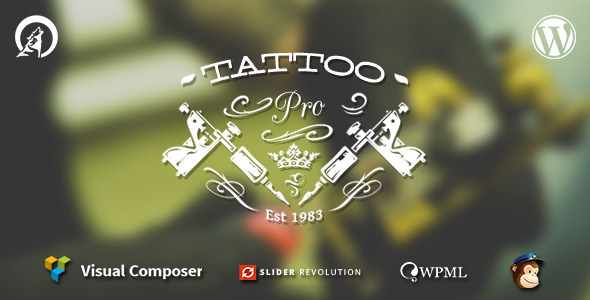 Tattoo PRO is a modern, attractive, robust, clean, and professional WordPress theme perfect for tattoo artists. Like tattoos, this theme is a work of art; it was purposely designed and developed to allow artists to showcase their work and put together a stunning website without having any previous programming knowledge. Tattoo PRO is any tattoo artist’s ally because it comes with amazing and useful features such as impressive galleries and sliders, multiple unique layouts, video background, unlimited colors, animations, parallax effect, and much more. Show the world what you can do with Tattoo PRO! Thousands of websites are created every minute around the world. This means you need to step up your game and find a theme that offers you an edge over the competition. Ink Tattoo Studio is that theme. 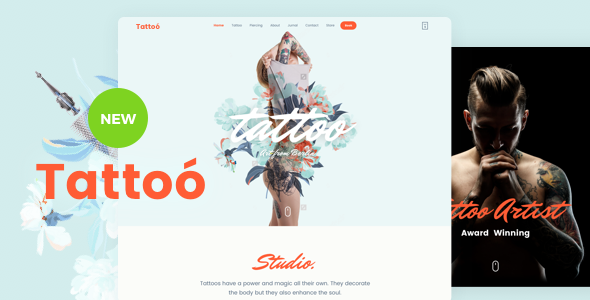 Ink Tattoo Studio is a great theme that will improve everything about your website creating a beautiful and modern layout that is also completely responsive and adaptable to any screen size. Ink Tattoo Studio comes with impressive theme features such as several unique page templates, filterable gallery, included child theme, different skins, and multiple amazing shortcodes. If you want to sample it, check out the live preview. 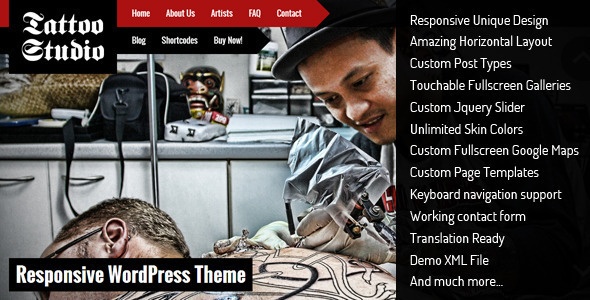 Tattoo Studio is a modern, creative, stunning, and easy to use responsive WordPress theme. It has been crafted to perform well under any circumstances and it has top notch features. Tattoo Studio is full of custom features specially developed for artists in general. Even if this theme works perfectly as a platform for developing tattoo websites, its dynamic layout and beautiful design is flexible enough to accommodate any type of creative website. Feel the difference with Tattoo Studio! 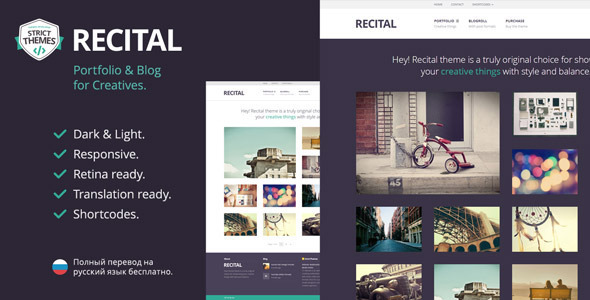 Recital is an efficient, intuitive, mesmerizing, unique, and easy to use creative WordPress theme. It is extremely well structured and designed, as well as fully responsive and SEO friendly. Recital has outstanding features that will help anyone stand out no matter the niche. This theme allows you to translate it in any language and comes with the demo content included. Its most attractive tools are custom meta boxes for pages and posts, an incredible admin panel, various custom shortcodes, unlimited sidebars, custom widgets, unlimited colors, dozens of icons, and an extensive documentation. Give it a shot now! Pulchellus is a wonderful, unique, modern, and clean artistic WordPress theme. This theme is extremely creative and appealing and if you are looking to impress, this theme is for you. With it you get a clean and beautiful layout that is easily adaptable to any type of content, device, and browser. Pulchellus has a premium slider included, many shortcodes, a great control panel, 4 premade skins, and much more. Enjoy developing a lovely website using Pulchellus! Dance School is a modern, fresh, attractive, premium creative WordPress theme. This theme was designed and developed to look beautiful while also being an effective platform for dance schools and studios. Dance School is equipped with unique page layouts, handcrafted elements, several header styles, premium plugins and add-ons, 6 blog types, 9 portfolio styles, classes’ details, unlimited colors, and WooCommerce support. Dance School is a great theme to turn the spotlight on you. Let us know if you found this list of the top 30+ most creative WordPress themes for artists useful and if we missed any theme that might fit in.